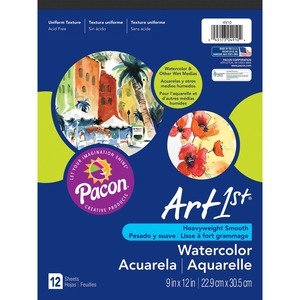 Watercolor pad contains 12 sheets of student-grade, watercolor paper. Heavyweight paper is ideal for wet and mixed media techniques. Each acid-free sheet offers uniform texture and whiteness and is recyclable.